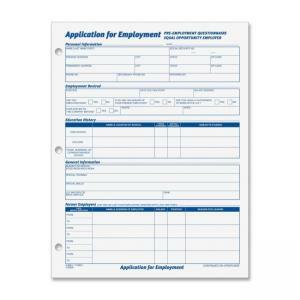 Employment application form is revised for acceptance in all states. 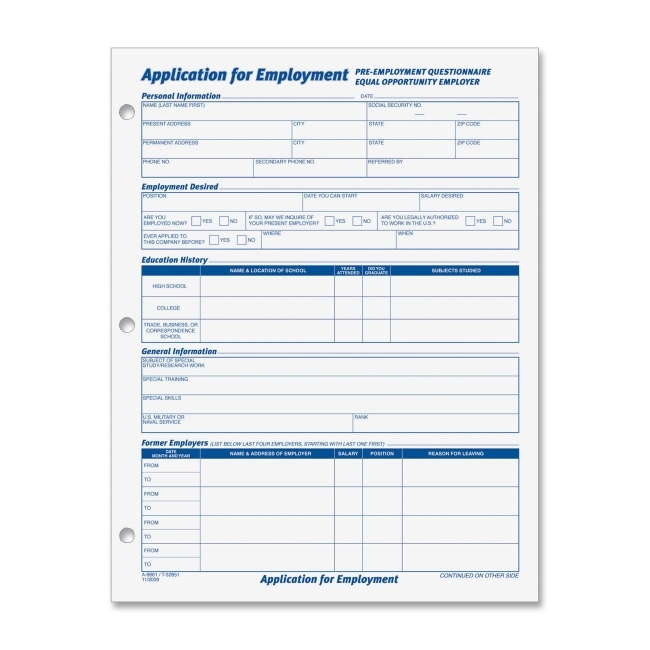 Offers complete information request in a well-organized format. Contains appropriate warnings and wording throughout. Printed in black ink on both sides of white stock. 50 sheets per pad.